Cancer has touched every family in every community in Ireland. Cancer Week is about opening up a national conversation about cancer and for communities and organisations, large and small, to be part of that conversation this September. Cancer Week is taking place this week from Monday 24 to Sunday 30 September and hopes to inspire every community to take part. This year events are taking place across the country to get a national conversation going about cancer. Cancer Week is about encouraging us all to open up about cancer so that the fear of the past can be replaced by hope for better outcomes and a brighter future. 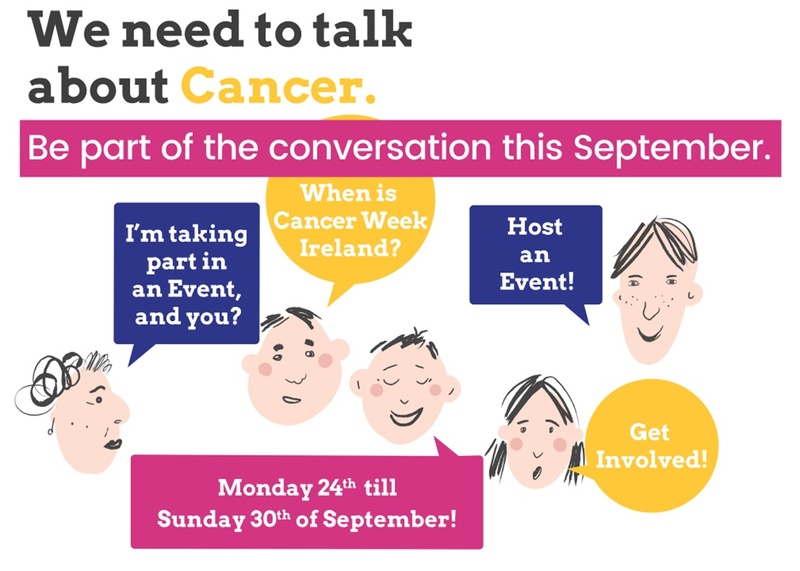 Visit www.cancerweek.ie to find out what events are happening near you. Previous Post Would you like to advertise in the first print edition of Happy Magazine?